For this month's RevizProject, we decided we wanted to find visualization that were really famous on Tableau Public, update the data set, and build our own version to tell a different story. I've always been fascinated with Anya Ahearn's Iron Viz winner, so I asked for her blessing to use it for inspiration. Anya did this amazing viz in 20 minutes on stage in front of spectators to take home the Iron Viz championship. This is really impressive, and I know from personal experience how hard it is to compete in the Iron Viz. Anya did a tremendous job of showing how Dixie Alley is actually more deadly than Tornado Alley. 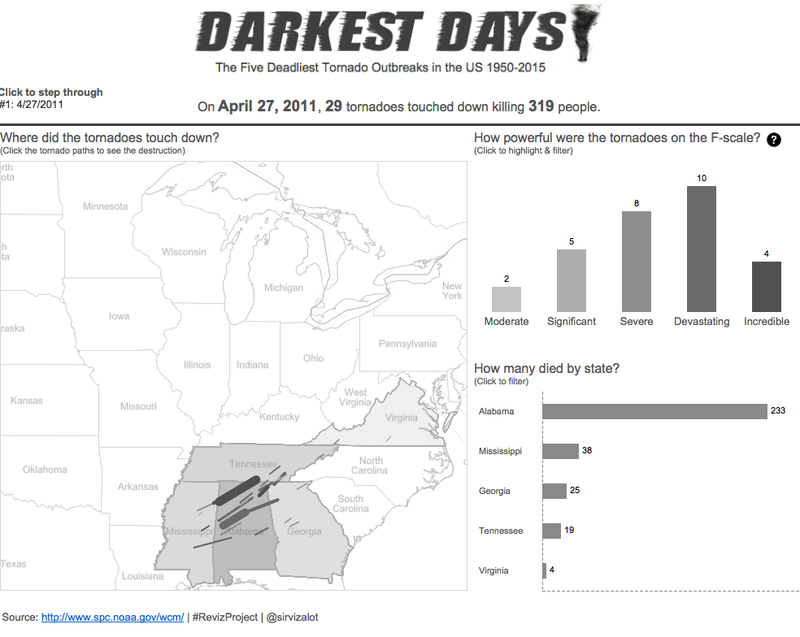 When I looked at the data set, I thought back to April of 2011 and the horrific tornadoes that hit Alabama. 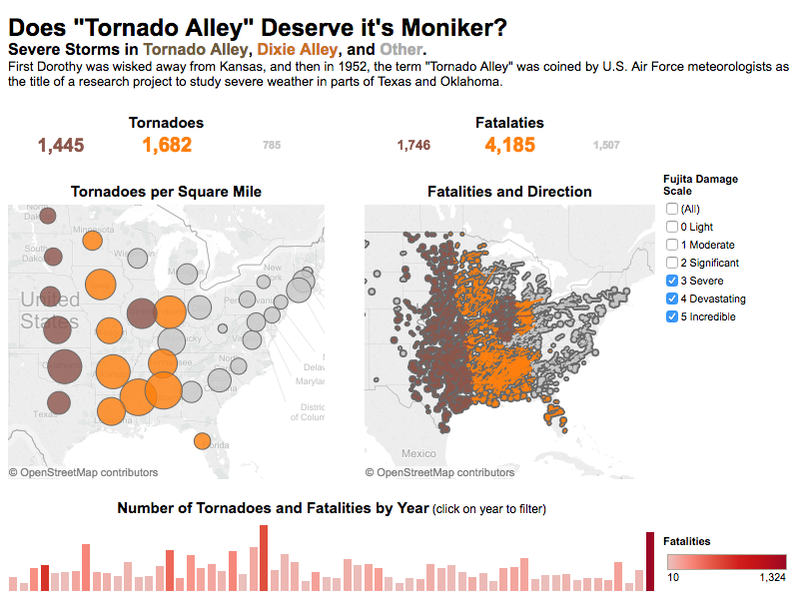 I started to look at the data, and that date, April 27th, 2011, was actually the most deadly tornado outbreak since 1950. That was a very powerful story to me because I remember the news coverage vividly, but I wanted to build something that would help evoke those memories but also tell the story of the other four deadliest outbreaks. To do this, I wanted to build something that was a visual story, but I didn't necessarily want to use storypoints. I decided to build a parameter that lets you cycle through the story. 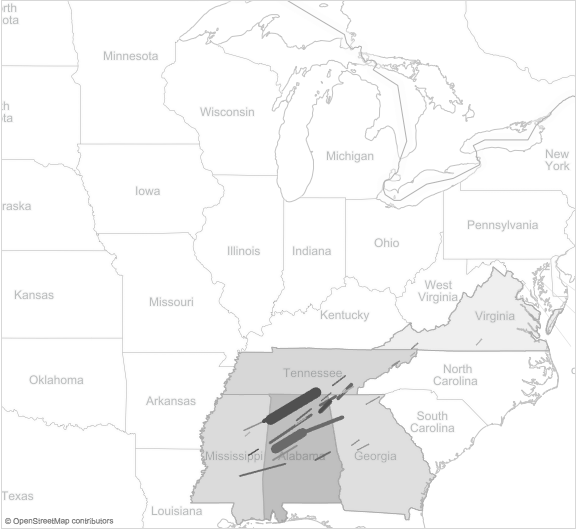 The paths of the tornadoes are shown on the map, and the states that were affected are shaded. I really liked this view against a minimalist map because it puts the focus on the data while maintaining the map for geographic reference. I also wanted to add functionality where clicking on the tornado path allows the user to see the actual damage of the tornado. I'm really excited to see which direction Peter Gilks takes for his first Reviz, and I'm sure Alex Duke will have an amazing design as well. Check out the interactive version! Tornadoes or hurricanes or typhoons are the natural hazards that kill thousands of people in no time but you will be surprised that it is the humans that kill most of the humans every year as compared to animals or even in natural hazards. They are the most dangerous creatures on this earth so it is not necessary to be scared with all these natural disasters. 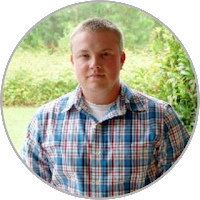 Those with guns are most dangerous as they don't even for a second before shooting others, so they must be trained with their moral obligations associated with that gun that may save as well as kill.